Why Do Periodontists Do Surgical Tooth Extraction? When board-certified periodontist Dr. Soleymani of the Beverly Hills Periodontics & Dental Implant Center performs tooth extraction, his goal is to do so in a way that minimizes pain, anxiety, and most importantly, keeps the extraction site preserved. What is Tooth Extraction Site Preservation? When a tooth is removed, the jawbone that supports that tooth (called the alveolar “ridge” bone), begins to slowly degenerate, and with it, the overlying gum tissue. To prevent this from happening after tooth extractions, Dr. Soleymani skillfully preserves the site of the extraction in your mouth, starting before the tooth or teeth are even removed. During the tooth extraction process, Dr. Soleymani will pack the socket where the tooth is removed with a bone substitute and cover it with an absorbable membrane, before suturing it closed. While this grafting material is in place, it will support the adjacent tissues and in time, it will be replaced by new alveolar bone. The bone that grows will provide excellent support if you decide later on that you would like dental implants. What Tooth Replacements Can I Get After My Natural Teeth are Extracted? Remember that it is important to receive further periodontal treatment after a tooth is extracted, because leaving an empty space in your mouth is more than just a cosmetic concern. Over time, the empty space in your mouth will begin to experience bone shrinkage underneath the soft tissues, even if you had a bone graft. 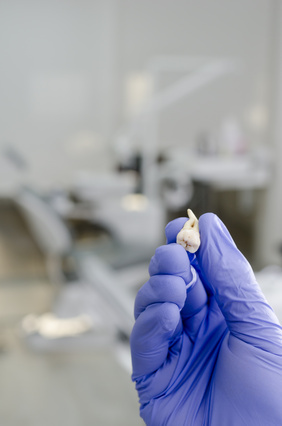 What that means is, the tooth extraction site preservation will not preserve it indefinitely. In fact, you have approximately three to twelve months after your extraction and socket grafting to obtain either partial dentures for the missing tooth, or a dental implant, which permanently takes the place of the missing tooth. 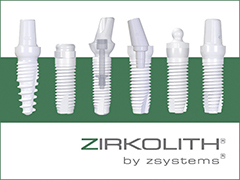 What are Dental Implants, and Why Should I Get Them? Beverly Hills Periodontics & Dental Implant Center is well-versed not only in tooth extraction in Los Angeles, but in dental implants, as well. Dental implants will restore the beauty and functionality of your smile where the missing tooth was taken out, and many patients are good candidates for same day dental implants at our Beverly Hills office. Dental implants are root-shaped supports which can be viewed as replacement teeth, and support the underlying bone. It’s important to have a strong underlying jawbone in order for the dental implants to adhere properly, as mentioned above. If the bone has degenerated too much, an implant is no longer an option without having to do more complex bone grafting procedures in order to create adequate bone. That is why Dr. Soleymani is a huge proponent of preventing bone loss rather than creating bone later. Without a dental implant, you will not only suffer embarrassment from the missing teeth, you will also have problems with your jawbone disintegrating, which can lead to more pain and a difference in your appearance. With missing teeth that have not been replaced, you are liable to have trapped food in the empty spaces or have speech impediments as a result. The other alternative for missing teeth is a set of partial or full removable dentures, which many patients dislike because of messy adhesives and possible slippage of the teeth, which must be removed daily to be cleaned and sanitized. If you are interested in learning more about teeth extraction and dental implants in Los Angeles, contact us today by calling 310-275-4606. Our team is dedicated to personalized patient care and we are eager to share our periodontics knowledge, including more about tooth extraction. Los Angeles patients can count on Beverly Hills Periodontics & Implant Center for all their cosmetic dentistry needs.